I Was Here meets Suicide Notes from Beautiful Girls in this story seven friends, five years of silence, and the one mystery that will bring them back together again. It's been five years since Marley Bricket died by accidental gunshot. On the night of the annual memorial, Olivia Stanton, the only witness to Marley's death, gets an unexpected visitor in the form of Nick Cline. He's the boy who pulled the trigger on what he didn't know was a loaded gun. Since then, nothing in the quiet desert town of Cadence, California has ever been the same. Nick's surprise reappearance puts all the Kids of Albany Lane in one place for the first time since Marley died. The once-inseparable group of neighborhood friends, formerly led by Marley herself, has disbanded. 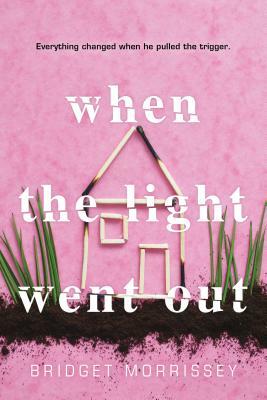 But when Olivia discovers a scavenger hunt orchestrated by Marley before she died, the group must come together again to complete it, reopening old wounds and unearthing new questions about what really happened. Most importantly, did Marley know the gun was loaded?